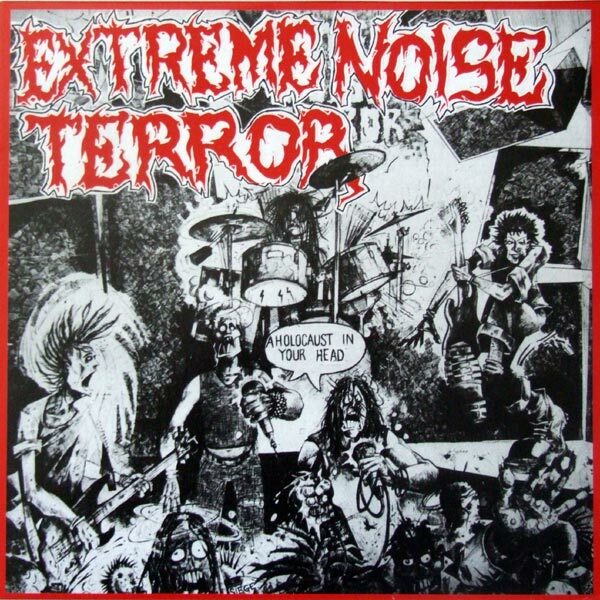 Even though punk music is strongly related to old school grindcore, not many bands could be named who introduced this musical development like Extreme Noise Terror did. It was at the birth of two styles at the same time. Grindcore just apperaed not so long ago led by bands like Napalm Death and Carcass, and crust punk was kind of quite new too. 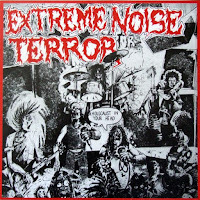 On the side of Doom and Hellbastard, Extreme Noise Terror is in first in line to mention if it's about the most influental crust punk bands. So they were definitely updated about the new developments of the actual music scene that time. They kept more punk features than old grindcore bands, but didn't even try to build on the musical contrast of simple, primitive punk melodies and insane grinding. Just like their name told, they made only some extreme noise. Animalistic and intense noisemaking without any breaks, to annoy and instigate to crush your furnitures at home, but better to do in public. Another exaggerated aspect of musical minimalism. The musical and lyrical concept of crust punk and old school grindcore was almost the same, so "A Holocaust in Your Head" could count as an important classic for the fans of both styles.